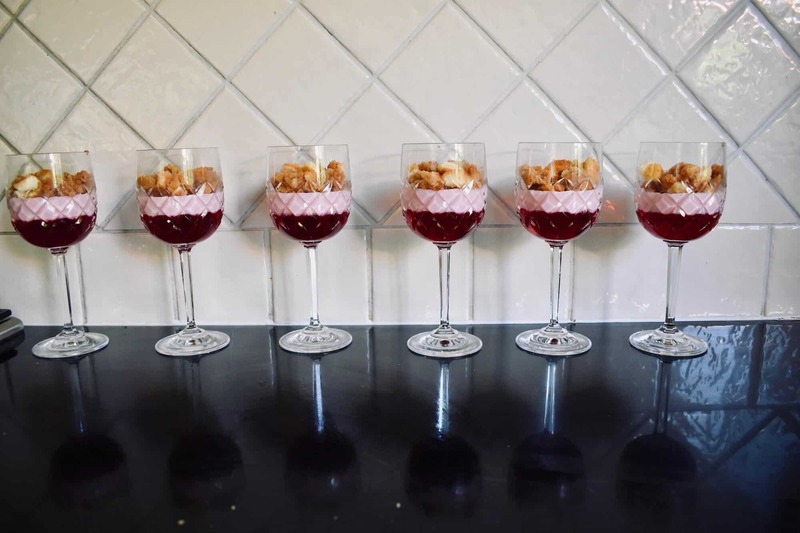 The Christmas table isn’t quite complete without a Christmas Trifle. 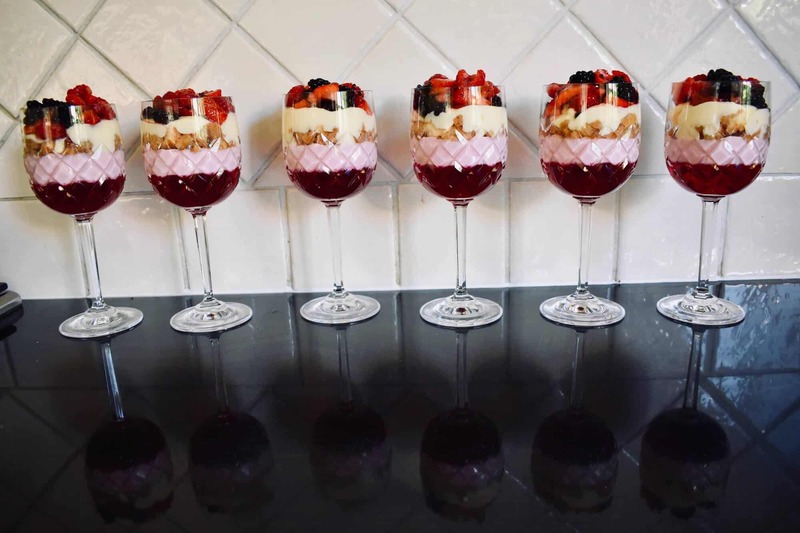 These layered, individual mini trifles are inspired by Nana Ling’s flummery recipe. They can be made up a day ahead and the best thing about a mini trifle is that you can have it all to yourself. No battling with the family member who takes too much of the jelly! 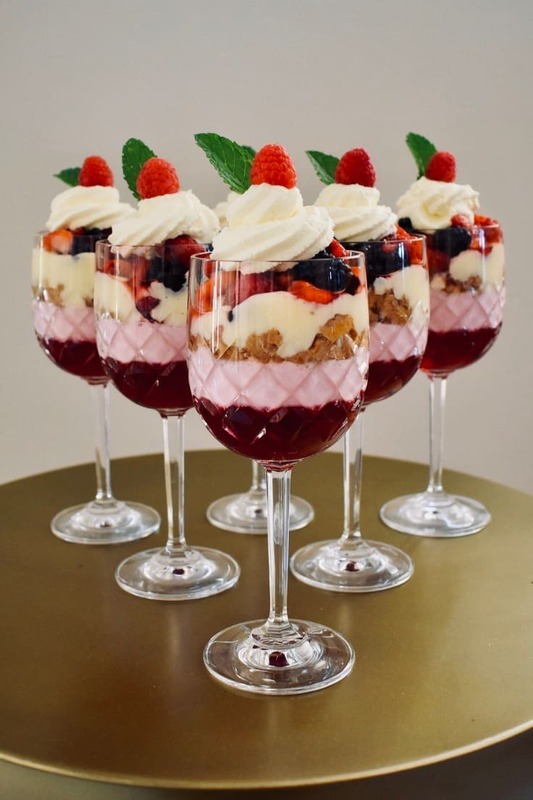 A trifle with some extra magic: flummery! 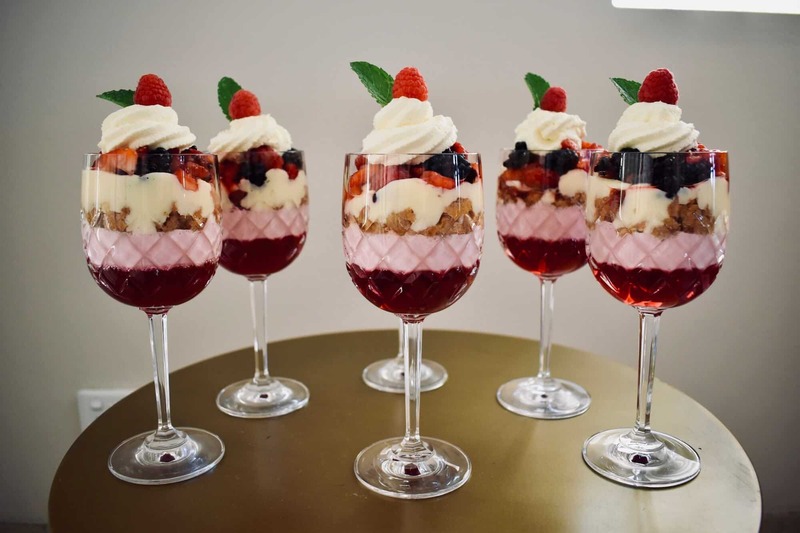 These individual trifles include all the essentials – jelly, custard, alcohol and sponge – but are made extra special with the addition of flummery. What’s flummery? It’s a jelly whip dessert with a long history, and you can read more about it here. 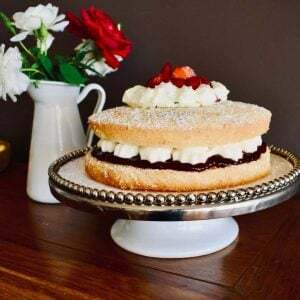 For the sponge layer, I used Italian sponge fingers from the supermarket (the ones that are used to make Tiramisu) but you can substitute these for real Sponge Cake. I made custard from custard powder, but again you could substitute with store-bought custard or go all out with your own egg custard. 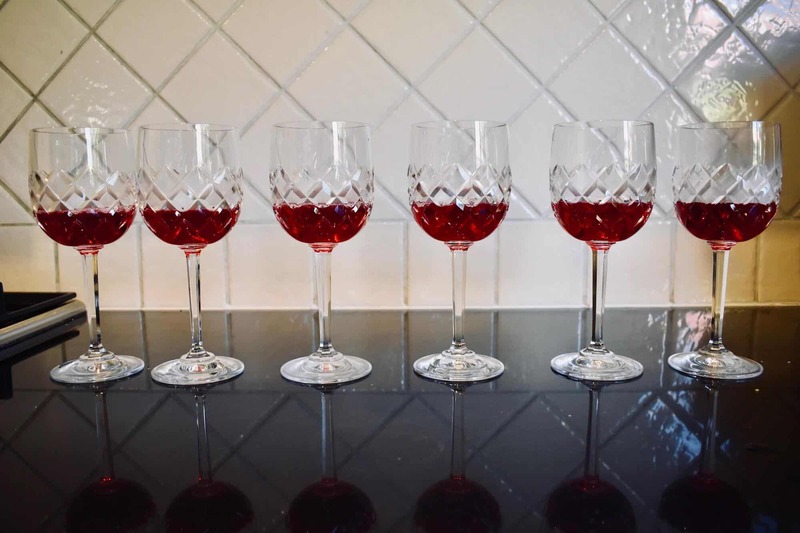 For the alcohol, I used a Hunter Valley Muscat, but you can experiment here too and use the traditional port, sherry or another favourite liqueur. The fun (and visually appealing) part of this recipe is the colourful layers. Ready to watch how it comes together? Make up jelly following the instructions. This should make 2 cups of jelly. Put the 6 glasses and remaining mixture into the fridge. When the remaining mixture is getting close to setting (but still able to be poured, this may take 1-2 hours), combine with the Nestle reduced fat cream and beat on high for 4 minutes. The jelly in the cups should almost be set by this stage. 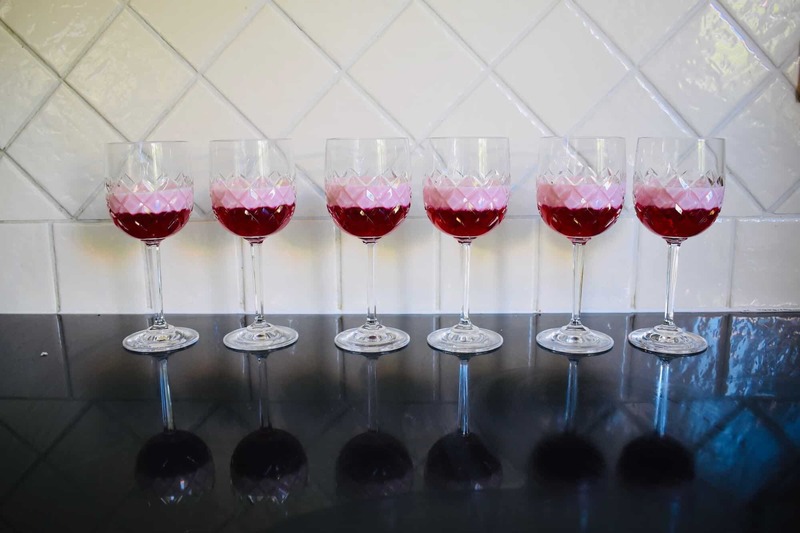 Carefully pour the jelly and cream mixture (flummery) to add another layer to each of the glasses. Crush sponge fingers in a tray and then pour over port, sherry or muscat. Substitute juice if you'd prefer a kids or non-alcoholic version of the trifle. Add sponge fingers as the next layer and then pour a layer of custard in each glass. Add chopped berries as another layer, reserving 6 berries for decorating. Whip thickened cream and custard powder until stiff. Pipe cream onto top of layers and decorate each trifle with a berry and mint leaf. 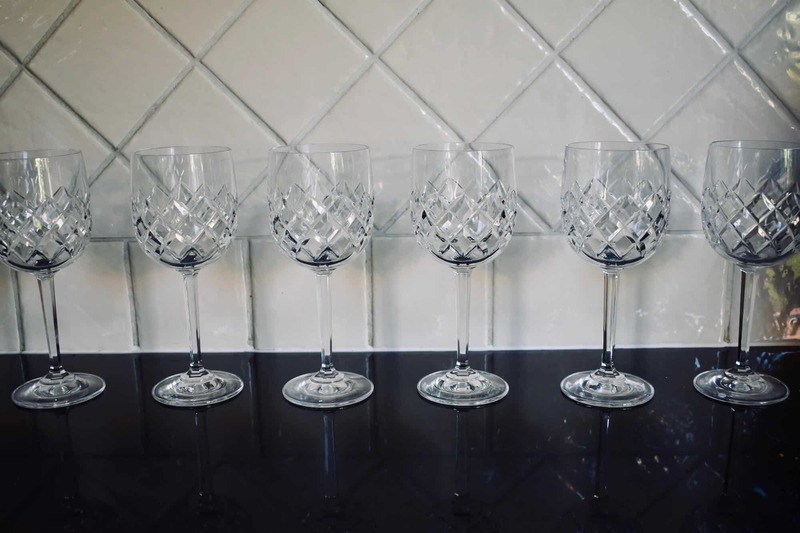 My girls would go crazy for these….I’ll have to add these to the list of “Someday we should make these when I actually decide to bake something.” 🙂 Although, I’ll probably put them in some plastic cups 🙂 Your pictures are stunning! Hi Christine. I made it a day ahead and it was fine. I wouldn’t want to make it any further ahead than 1 day though.